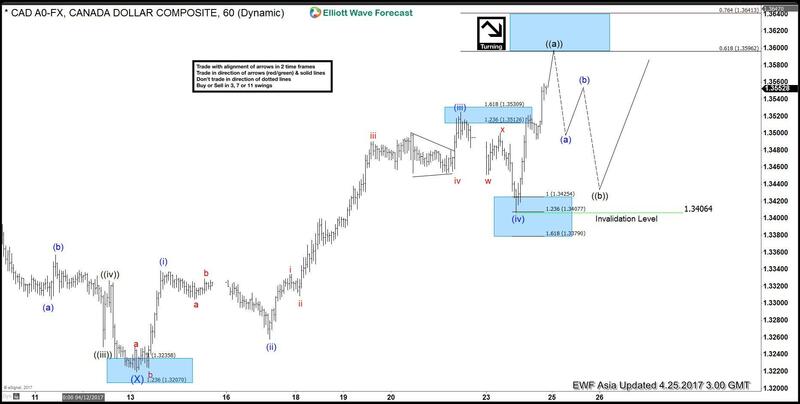 Short term Elliott Wave view in USDCAD suggest the decline to 1.322 ended Intermediate wave (NYSE:X). Up from there, the pair is showing 5 waves impulse structure where Minutte wave ( i ) ended at 1.3338, Minutte wave ( ii ) ended at 1.3258, Minutte wave ( iii ) ended at 1.3525, and Minutte wave ( iv ) ended at 1.3406. 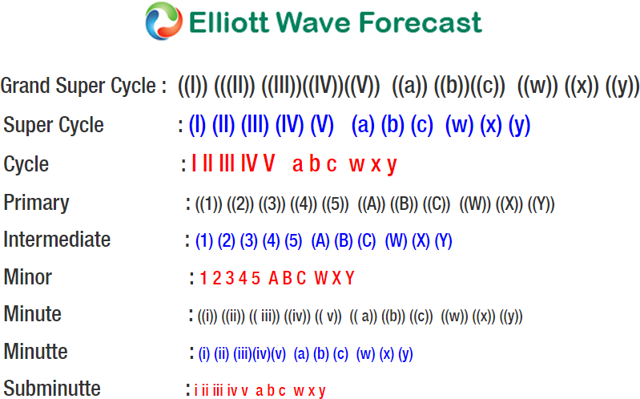 Near term focus is on 1.3596 - 1.364 area to complete Minutte wave ( v ) and also Minute wave ((a)). 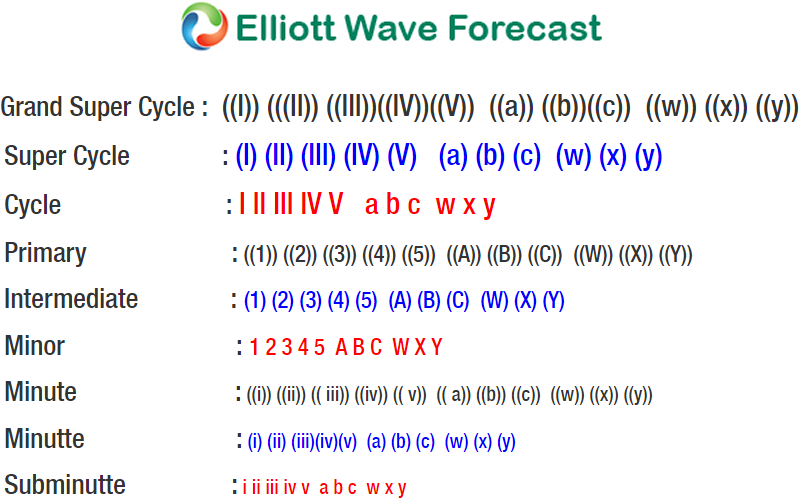 The next push higher towards above target should end the cycle from 4/13 low, after which the pair should pullback in Minute wave ((b)) in 3, 7, or 11 swing to correct cycle from 4/13 low before turning higher again. We don't like selling the proposed pullback and expect buyers to appear again once Minute wave ((b)) pullback is complete in 3, 7, or 11 swing provided that pivot at 1.322 low remains intact.